Siduna was created in the late 19th century in Switzerland as an answer to low-cost import pocket watches and was awarded multiple medals at the Exposition Universelle. 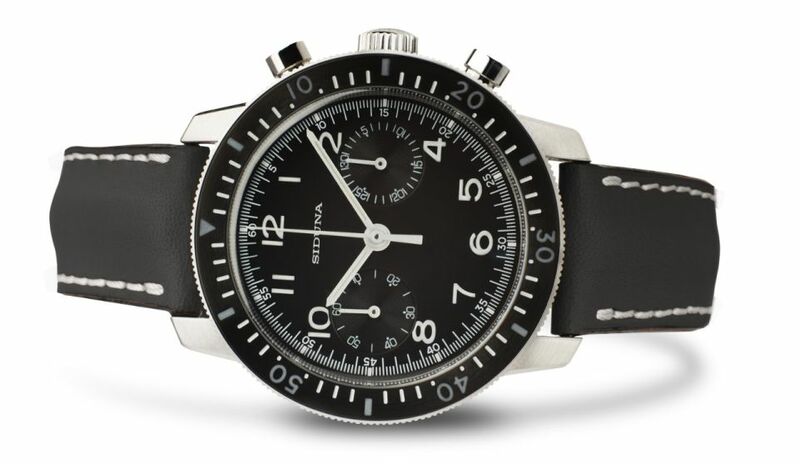 In 1929, the company Siduna AS was incorporated in Copenhagen, Denmark, and it remained active until now by importing private label watches made by the Titoni and Felca factories in Bienne, Switzerland. The Siduna trademark is now owned by Woodshores AB, based in Sweden. 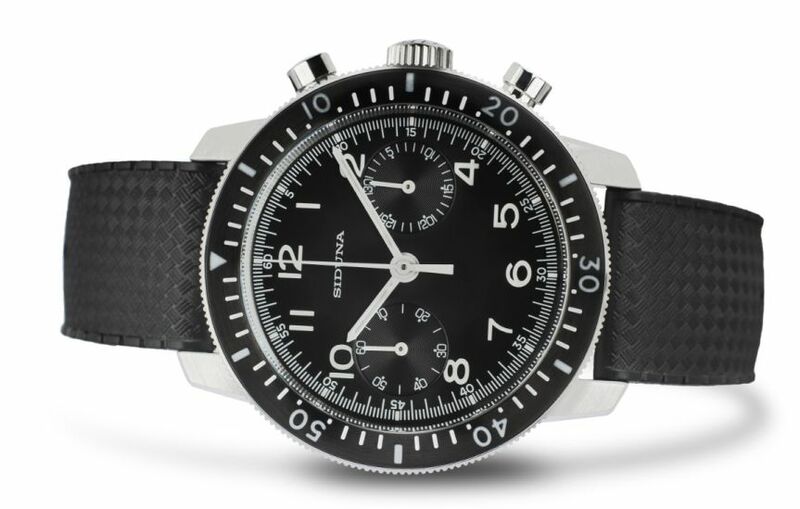 The Siduna team is composed of Peter Wadbro, an experienced Swedish watchmaker who passed the prestigious WOSTEP qualification for maintenance and care of fine quality watches; and of Francis Jacquerye, who was Longines's former chief designer before co-founding the company with two other shareholders. 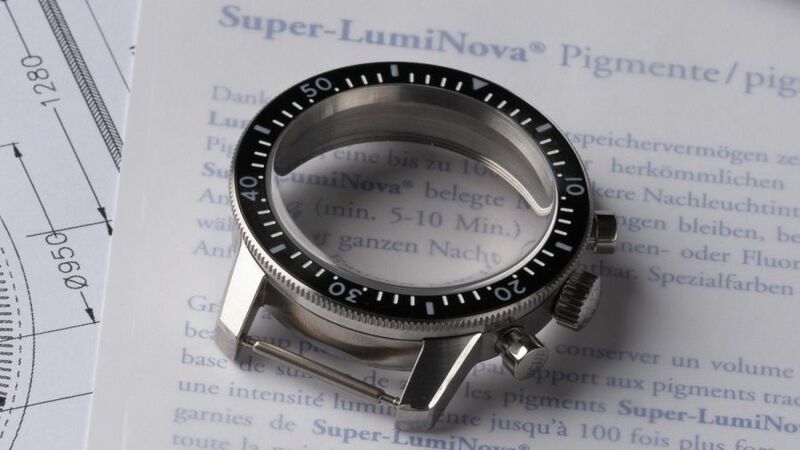 The case, in stainless steel, measures 42mm x 16.1mm. It has a double-domed AR-coated sapphire crystal and it is water resistant to 100 meters. PVD black steel bezel insert with luminous numerals. This case is based on a 1973 military standard from the Swedish Air Force. The frame reproduces a design from Ervin Piquerez SA from 1968 that was used by brands such as Breguet, Bucherer, Heuer, Lemania, Rodania, Sinn and Wakmann. 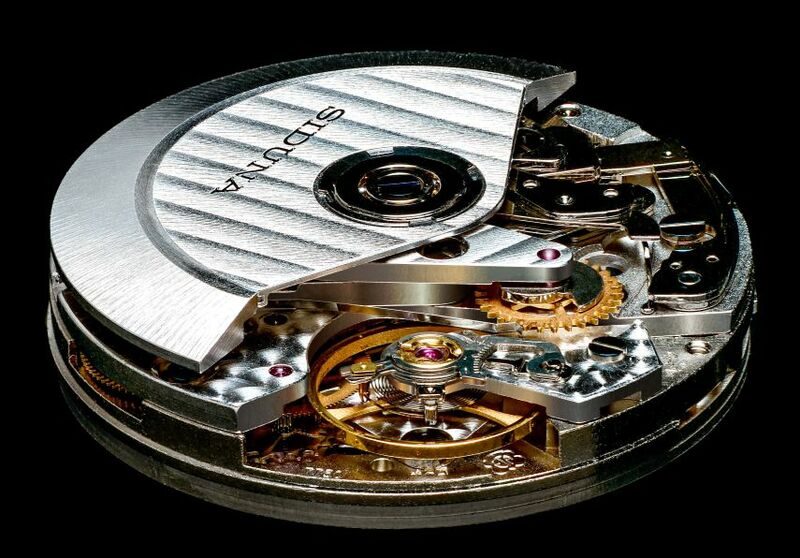 Movement is the Swiss automatic caliber 13 Upsylon with 25 jewels, 28,800 vph and a power reserve of 42 hours. Functions are: hours, minutes and subsidiary seconds. 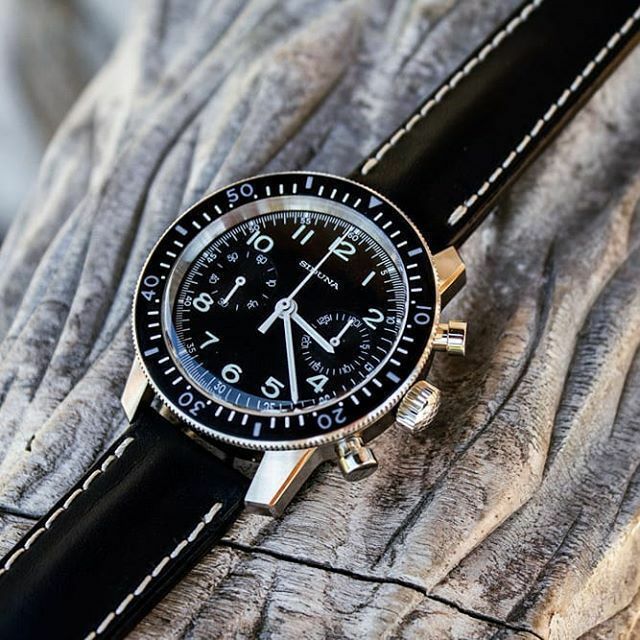 30 minutes and ¼ seconds chronograph. The movement is based on an automatic ETA 7750 with Top finishing. 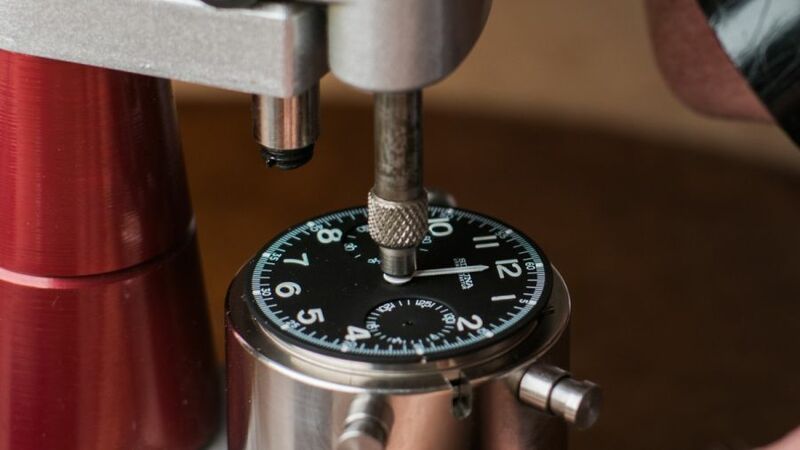 They undergo several substantial modifications in La Chaux-de-Fonds, such as the removal of the date mechanism and the relocation of the minutes subsidiary dial from 12 o'clock to 3 o'clock thanks to a proprietary module, and an upgrade to blued screws. It has a matte (deep black galvanic electro-plated) dial with recessed sub-dials. SuperLuminova hands, indices and numerals. 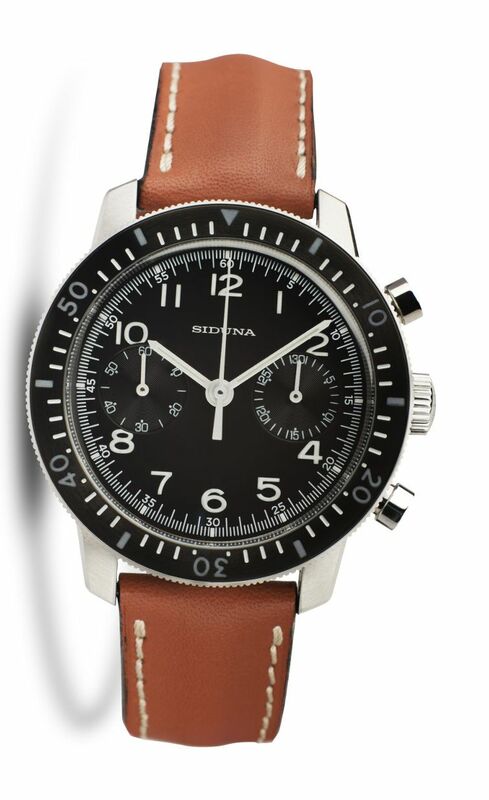 It comes on a 20mm nitrile rubber strap, but options include a German top grain calf leather strap available in black, havana brown or rouille color, all with steel buckles. MSRP starts at 1,860 Euros. Nice and reasonable. No-date makes for clean dial. At least they have made a decent attempt to disguise the 7750 origins of the movement. The case is a classic design. Nothing new or exciting, but a good looking watch at a reasonable price. I'd wear it. Tried and proven case, and movement. Nice bezel! 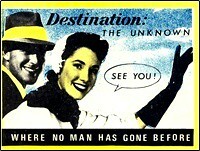 The absence of the date. The 20mm lug width should make it a great candidate for many strap options with ease. Looks like a decent watch for the price. Nice and legible. Yes the hands are very reminiscent of the Speedy Pro but that's not a bad thing. I like that they have modified for the 2 eye look. Not bad for the price, but not for me. Nice and reasonable. No-date look makes it even more classy. As a child I really loved Suske & Wiske. Thanks. Looks very presentable and excellent value! looks really good, I love it. Lovely Dial, I love it. Previous Topic: I'm wearing my Highlands today, what about you?